It’s an emergency! > Help I’m flooding! If you have a flooding emergency contact Fire and Rescue on 999 or 112. For other useful contact details and to report flooding to Northamptonshire Highways or your Water and Sewerage provider see our It’s an Emergency page. 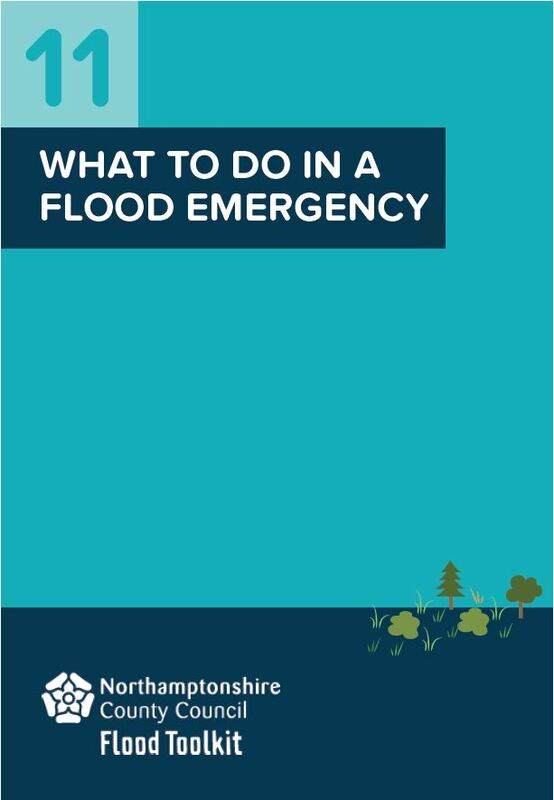 If there’s a flood happening near you, follow the five steps at the bottom of the page to make sure you are well prepared and safe. Tick off each step to reveal the next. Stay calm and don’t panic. Police, Fire and Rescue and other officials will try to visit all properties at risk or use a loud hailer to tell you if an evacuation needs to take place. You will hear about your evacuation point and the location of the reception centre either verbally or by a leaflet. Try to check that any elderly or vulnerable family members or neighbours know about the evacuation. Listen to the advice of the authorities and follow any instructions to leave your property. Remember to take your grab bag. On leaving, before water enters your property, ensure electric and gas supplies are turned off and lock doors and windows. Before flood water enters your home, close and lock downstairs windows and doors. Keep the keys safely to hand and move upstairs. Continue to listen to situation updates from your local radio station and via Floodline on 0345 988 1188. Stay in your property if safe to do so or until either the emergency services tell you otherwise or the floodwater has gone. Do not walk through floodwater. If it is necessary to walk through shallow water, take care for hidden holes, obstacles and other hazards. If you come into contact with floodwater, wash any exposed body parts with bottled or cool boiled water before handling food or looking after wounds.